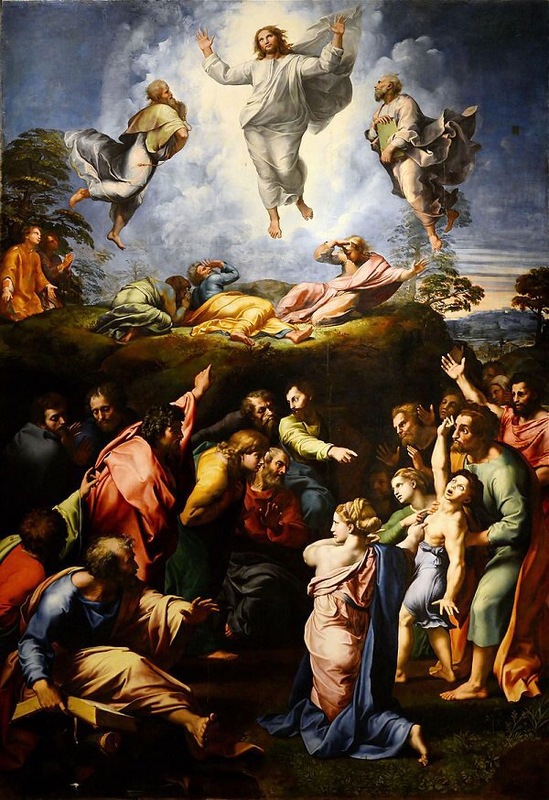 I was meditating on this Sunday’s Gospel reading on the Transfiguration (Matt 17:1-9). Two lines stood out to me from the text. The first was Peter telling Jesus “Lord, it is good that we are here.” and the second being “Rise, and do not be afraid”. I think the first statement follows pretty well from our experience. We often are thankful for the encounters we have with Jesus and the consolation that comes from them. The second statement is the one that should trouble us. We here often enough the line “Do not be afraid” in the Scriptures, but this placement of it seems odd. Right after Peter is thankful for being with Jesus, he is afraid. He just saw the bright Glory of the Lord, so what was he afraid of? I think we often times domesticate our experiences of the Lord. We encounter Him within the limits we place around our spiritual life. I encounter Him when I pray the Rosary, in nature or in my Bible Study. We get accustomed to His presence, and I don’t doubt it’s there, in the places we frequent. However, I think what Peter is experiencing here in His fear is an authentic encounter with the Lord who is greater than anything we can imagine. The Glory of the Lord scares Peter because all true encounters with Jesus should make us afraid. I want to switch the word “fear” with a similar word “awe”. We should encounter the Lord with such an “awe” while trembling at His presence. If we truly believed that the God loved us so much that he created us, died for us when we turned our backs on Him, and continues to give Himself to us in the Eucharist, then we would drop to our knees in “fear” and “awe”. Just that we exist should make us become “prostrate and afraid”. We exist out of pure love. We do not know the power that we have inside us. We do not think enough about what it means that we are “sons and daughters of the Lord”. We neglect the very God who lives in our fickle hearts. Let’s spend some time in “awe” of what the Lord has done for us, and “wonder” about the love He has for us that we exist. Our very existence is proof of God’s love. “Lord, it is good that we are here.” Good indeed.